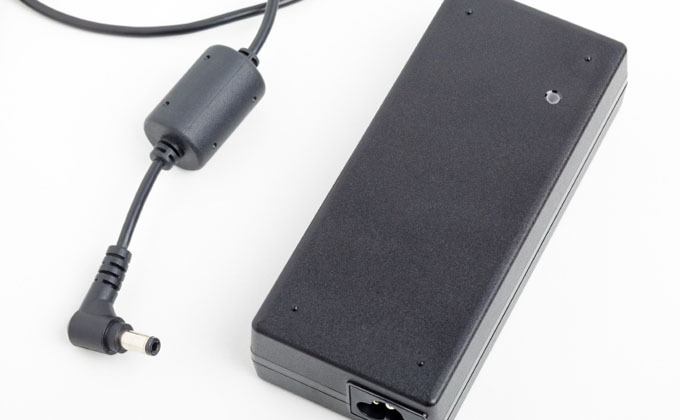 Thanks to a new national standard announced today by the U.S. Department of Energy [no-glossary](DOE)[/no-glossary], power adapters--the sometimes bulky and annoying boxes on the power cords of your electronic gadgets--will waste a lot less energy. Just as importantly, DOE deferred new national standards for battery chargers, allowing strong existing standards in California and Oregon to remain in place. Laptop computers, tablets, cell phones, cordless phones, digital picture frames, modems, routers, computer speakers, printers and countless others devices need power adapters, also known as external power supplies (EPSs), to convert household electric current (120 volts in the U.S.) to the lower voltages at which those devices are designed to operate. Unbeknownst to many, these adapters unobtrusively consume significantly more energy than necessary to do their job. The new power supply standard, which will take effect in two years, is an update to a standard first adopted by California, and enacted nationally as part of the Energy Independence and Security Act of 2007 (EISA). The original standard eliminated the least-efficient types of power supplies for most products, doing away with many of the brick-like units which were often warm to the touch (that heat was energy waste) and which annoyed many of us by blocking neighboring power outlets with their bulk. The result was less wasteful and less annoying products. The latest DOE standards strengthen the efficiency requirements for previously covered units, and extend the standards to include several other EPS types. They will also cut adapter energy use by 30 to 85% depending on the device. Based on ASAP’s analysis of DOE’s published data, the savings will add up to about 30 kilowatt-hours (kWh) a year for a typical household once all adapters in the home comply. While the savings per household may seem modest, they add up quickly on a national level. DOE estimates current annual shipments of about 345 million EPS units (and growing), and the new standards will affect 75-80% of those sales. According to DOE, over thirty years of sales, the new standards will save 93 billion kWh and reduce power plant CO2 emissions by 47 million metric tons, an amount about equal to the annual emissions of 10 million cars. Net consumer savings will amount to about $3.8 billion. Most likely, savings will be even larger since DOE estimates only 5 – 10 power supplies per home. Other research suggests that the number of power supplies per home could be more than twice as high. In today’s notice, DOE said that it has deferred setting standards for battery chargers at this time. DOE’s original proposed standards, published in 2012, would have been weaker than California standards. The California standards took effect one year ago, and Oregon subsequently copied the California standards. By deferring federal action, DOE has allowed the stronger state standards to stay in place. Since national standards generally preempt state standards, ASAP and our coalition of efficiency supporters had argued that a de facto national standard weaker than the state levels would have taken the U.S. backwards on energy efficiency. We still think DOE should move forward with national battery charger standards, but any national level must be at least as strong as the state standards it will replace. The state battery charger standards are far-reaching since so many products now contain a rechargeable battery, including many of those covered by the power supply standard. Based on an analysis of the California database of qualified products, nearly 9,000 qualified products are now available for sale in California, covering about 800 types of battery operated products. Many manufacturers have said they will only make one product line for the U.S. and California, so we expect that the California standards are setting the national minimum, especially since Oregon has adopted the same standards and other states may do the same. As I wrote last week when DOE completed new standards for metal halide light fixtures, DOE is making good progress on meeting the President’s goal of 3 billion metric tons of CO2 savings from new standards by 2030. DOE estimates that the power supply standard will save about 24 million metric tons of CO2 by 2030. Later this month, DOE will complete commercial refrigeration standards and new standards for motors and furnace fans are due out later this year. DOE’s new power adapter standards combined with the California standards for battery chargers bring us another important step closer to eliminating energy waste in our homes and offices. Combined with a series of other standards completed within the past few years and under development at DOE, these new standards are helping to curb growth in U.S. energy use. That’s good news for consumers and the environment. For more information on the new standards check out Pierre Delforge’ post on NRDC’s blog, Switchboard.